Extensions will not be granted due to Friday deadline. Kassandra Kross is seen standing with Leon Kensworth. Leon looks slightly irritated as their is no sign of Keith Kole. He looks at Kassandra and she smiles apologetically. Kross: You know he's not coming right? Kinda why I'm here. He's off researching Vega, and he's locked himself away somewhere studying his opponent. 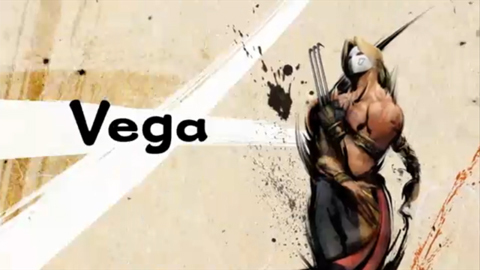 Just like last Ascension, he is gonna lay out Vega and be victorious. Soften up Vega as that idiot tries to survive the hunt of Flex. Kole will win, and he'll continue improving and he'll climb over anyone he has to to get a shot at some gold. Now if you'll excuse me, I gotta go make sure his new gear is gonna be ready. Later Leon! Kassandra walked away before Leon could even respond. Leon looked at his watch and shrugged his shoulders, watching Kassandra disappear. Vega turns his attention towards Flex, and starts running down towards the ring. Flex prepares for a fight, but the moment Vega slides in, Flex jumps through the ropes on the opposite side and exits the ring. He smiles as Vega stands there frustrated. He decides to go after him and takes a running slide underneath the ropes as Flex begins to run around the ring. Vega follows after him in hot pursuit. Flex turns and runs up the entrance ramp with Vega right behind him. Without warning, Vega's head is nearly decapitated by a superkick from Keith Kole coming to Flex's rescue. Cohen: Yes! That's how you play the game! Connor: Holy Jesus... that was a hellacious kick by Keith Kole out of nowhere! Keith Kole stands over Vega while holding his jaw, still feeling the effects of Vega's counter attack. Flex smiles as he approaches Vega's carcass. He instructs Keith Kole to lift him up. Kole holds Vega up as Flex unleashes a thunderous Flexucution on his prey. The discuss clothesline sends Vega's limp body flipping before it crashes down on the steel. Flex Mussel and Keith Kole both smile as the training staff makes their way to check on Vega. Mussel and Kole leave leave the scene proud of their actions. We find Vega sitting in the trainers room backstage at Ascension. The trainer is holds a small flashlight and shines it into his eyes. Vega winces, but plays it off as mild annoyance rather than pain. Well when you shove it in my face like that, sure. You know what? Do me a favor and get out of here. You've helped me enough. Thank you. Vega's thanks do little to mask his tense attitude as the trainer nervously keeps silent as he walks out of the room. The door closes behind him, and on cue Vega holds his head in pain. He knows the camera man hasn't left the room, and decides to vent. Poor trainer... he was jut trying to do his job. Truth is, I'm quite certain I suffered a concussion. If Keith Kole's blindsiding super kick didn't do it, the proceeding Flexicution Keith Kole propped me up for certainly did. Vega looks up towards the cameraman, talking to him instead of addressing the actual camera itself. But admitting to the trainer I'm feeling concussion like symptoms? Out of the question. 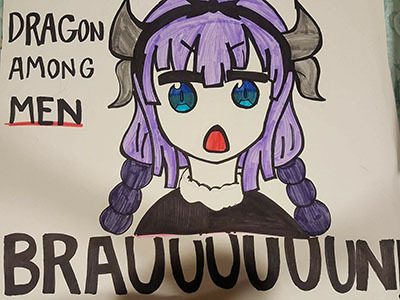 You know what that means as well as I do. I'm not trying to sit on the sideline with an injury. Not now. Not in the middle of this so called "hunt." Vega gets off of the trainer's table, still holding his head. He leans over the table, resting on his elbows as he tries to regain his balance. Although he realizes the cameraman won't respond, he continues addressing him. You ever seen these videos of Kung Fu or Karate Masters? You know the videos I'm talking about... where an alleged master will have like 5 of his students attacking him at the same time, and somehow he subdues all of them? The worst ones are when these masters claim to have supernatural powers like chi or death touches. As he slowly gathers his bearings, Vega stretches his neck around, feeling the effects of Flex's discuss clothesline. The saddest part about those videos aren't these so-called masters who pretend to know the secrets to combat. It's the students, the followers of these masters who fool themselves into believing everything is true. They believe these masters are God's. But then there comes a day that the student's beliefs are put to the test. Someday the student will learn that there is no such thing as a "death touch." Someday the student will learn his master is not God. There is a polite knock on the door followed by it slowly creaking open. Stacey Madison peaks her head in and respectfully speaks up. Hey Vega, I saw the trainer outside. I figured the quick evaluation means everything is okay? Wanting to play the part of a completely healthy wrestler, Vega stands up straight and smiles confidently towards Madison. Did you want to ask me my thought on what just happened? Although Stacey does have a mic in hand, it is not held up towards her mouth. 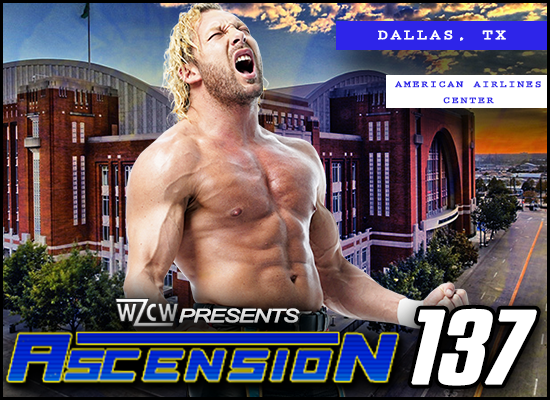 Well, not just that... but Chuck has already booked your match for next Ascension. He wanted me to let you know. Vega cuts himself off to reach for the table behind him. A sudden bout of vertigo nearly topples him. Stacey sees this and rushes over to Vega, helping him lean against the trainer's table. Stacey looks at her mic and puts it down on the table. Vega, still on uneasy footing, looks over towards Stacey with a nauseated look of gratitude. She smiles and nods her head, not needing Vega to verbalize the thanks. And yes, your match next round will be against Keith Kole. Although struggling to stand, a smile slowly creeps across Vega's face. He stands up, feeling confident he no longer needs the table to hold himself up anymore. Vega doesn't hide the fact that he's hurt from Stacey anymore, but still smiles through the pain. Vega can't hide his elation. He holds his neck in pain while indulging Stacey's question. Have you ever looked into someone's eyes the moment that their faith was broken? The question catches Stacey off guard. She is unsure of how to reply. It can be heart breaking for some. But for others? The smile on Vega's face gets bigger. Other's get off on that moment. Keith Kole has his faith placed in the wrong man. He's fooled himself into believing Flex is a God. Little does Keith know how his God will forsake him. If Keith Kole's faith in Flex isn't broken by next Ascension, I assure you it will be when I finish the hunt and take out his God, Flex, at Unscripted. Vega looks back towards the cameraman, the person he spoke to initially. It's like I said... there no such thing as a "death touch." Vega stifles a brief chuckle before slowly making his way out of the room, staggering a step or two along the way. Once the door shuts behind him, Stacey looks towards the cameraman in confusion a s the scene comes to an end.